1. Bandyopadhyay T, Gerardi DA, Metersky ML. A comparison of induced and expectorated sputum for the microbiological diagnosis of community acquired pneumonia.Rspiration 2000;67(2):173-176. 2. Hayon J, Figliolini C, Combes A, et al. Role of serial routine microbiologic culture results in the initial management of ventilator- associated pneumonia. Am J Respir Crit Care Med 2002;165(1):41-46. 3. Cook D, Mandell L. Endotracheal aspiration in the diagnosis of ventilator associated pneumonia. Chest 2000;117:195–197. 4. 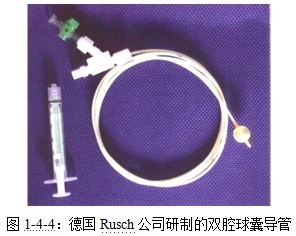 Wimberley N, Faling L J ,Bartlett J G.. A fiberoptic bronchoscopy technique to obtain uncontaminated lower airway secretions for bacterial culture. Am Rev Respir Dis 1979;119:337-343. 5. Marquette CH,et al. Bronchoscopic protected catheter brush for the diagnosis of pulmonary infections. Chest 1998;93:746-755. 6. Marquette CH, Herengt F, Mathieu D, et al. Diagnosis of pneumonia in mechanically ventilated patients: repeatability of the protected specimen brush. Am Rev Respir Dis 1993;147:211–214. 7. Heyland DK, Cook DJ, Marshall J, et al. The clinical utility of invasive diagnostic technique in the setting of ventilator-associated pneumonia. Chest 1999;115 (4):1076-1084. 9. Prats E,Dorca J, Pujol M, et al.Effects of antibiotics on protected specimen brush sampling in ventilator-associated pneumonia.Eur Respir J 2002;19(5):944-951. 10. Fagon JY, Chastre J, Hance AJ,et al.Detection of nosocomial lung infection in ventilated patients. 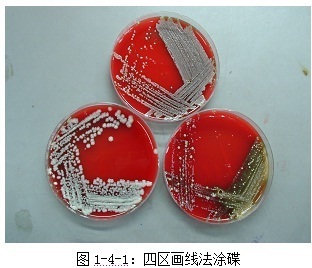 Use of a protected specimen brush and quantitative culture techniques in 147 patients. Am Rev Respir Dis.1988;138(1):110-116. 11. Marquette CH, Georges H, Wallet F,et al.Diagnostic efficiency of endotracheal aspirates with quantitative bacterial cultures in intubated patients with suspected pneumonia. Comparison with the protected specimen brush. Am Rev Respir Dis.1993;148(1):138-144. 12. Thorpe JE,Baughman RP,Frame PT,et al. Bronchoalveolar lavage for diagnosing acute bacterial pneumonia. J Infect Dis 1987;155:855-861. 13. Kahn FW,Jones JM. Diagnosing bacterial respiratory infection by bronchoalveolar lavage. J Infect Dis 1987;155 (5):862-869. 14. Torres A, El-Ebiary M. Bronchoscopic BAL in the diagnosis of ventilator- associated pneumonia. Chest 2000;117:198–202. 15. Rust M,Albera C,Carratu L,et al. The clinical use of BAL in patients with pulmonary infections. Eur Respir J 1990;3(8):954-956. 16. Gerbeaux P,Ledoray V,Boussuges A,et al.Diagnosis of nosocomial pneumonia in mechanically ventilated patients:repeatibility of the bronchoalveolar lavage. Am J Respir Crit Care Med 1998;157:76–80. 17. Meduri GU,Beals D,Maijub G,et al. Protected bronchoalveolar lavage: a new bronchoscopic technique to retrieve uncontaminated distal airway secretions. Am Rev Respir Dis 1991;l43:855–864. 18. Pang JA,Cheng A,Chan HS,et al. The bacteriology of bronchiectasis in Hong Kong investigated by protected catheter brush and bronchoalveolar lavage. Am Rew Respir Dis 1989;139:14-17. 19. Torres A,De La Bellacasa JP,Xaubet A,et al. Diagnostic value of quantitative cultures of bronchoalveolar lavage and telescoping plugged catheters in mechanically ventilated patients with bacterial pneumonia. Am Rew Respir Dis 1989;140:306-310. 20. Pham LH,Brun-Buisson C,Legrand P,et al. Diagnosis of nosocomial pneumonia in mechanically ventilated patients: comparison of a plugged telescoping catheter with the protected specimen brush. Am Rev Respir Dis 1991;143:1055-1061. 21. Nys M, Ledoux D, Canivet JL, et al. Correlation between endotoxin level and bacterial count in bronchoalveolar lavage fluid of ventilated patients. Crit Care Med 2000;28(8):2825-2830. 22. Flanagan PG, Jackson SK, Findlay G. Diagnosis of gram negative, ventilator associated pneumonia by assaying endotoxin in bronchial lavage fluid. J Clin Pathol 2001;54(2):107-110. 23. Veber B, Souweine B, Gachot B, et al. Comparision of direct examination of three types of bronchoscopy specimens used to diagnose nosocomial pneumonia. Crit Care Med 2000;28(4):962-968. 24. Jaeger A, Litalien C, Lacroix J, et al. Protected specimen brush or bronchoalveolar lavage to diagnose bacterial nosocomial pneumonia in ventilated adults:a mata-analysis.Crit Care Med 1999;27(11):2548-2560.